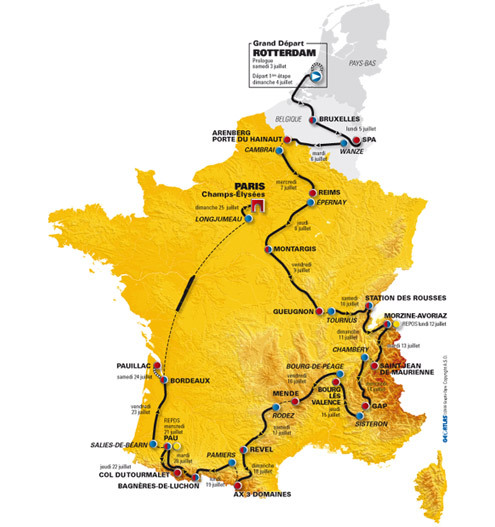 According to Google Earth Blog on July 2 ,Thomas Vergouwen has built some great files for the 2010 Tour de France. Because the route of the kml file has been completed, so I couldn’t help but want to make a Google Earth flight tour applications. This entry was posted in GE Flyover and tagged 2010 Tour de France, Google Earth Flight Tour. Bookmark the permalink.